So I have been procrastinating over this blog post for a good while and I was really in between two minds whether to post it or not. 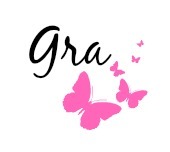 I hate doing negative reviews as I feel like I don't want to let the brand or company down especially when I have been so kindly sent something. 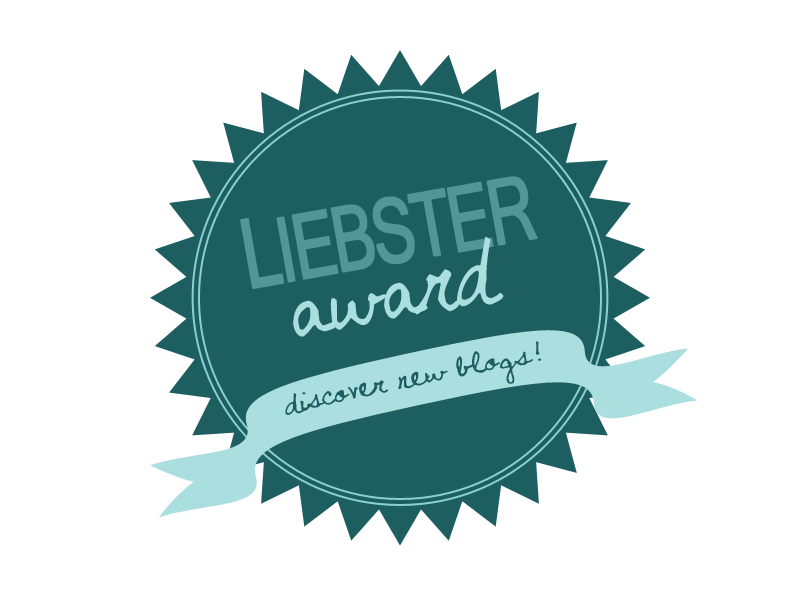 However after a lot of thinking I have come to the realization that it is in fact o.k that I will not be happy with every product I receive and at the end of the day that is what blogging is all about "my own opinion" and I also feel like I owe it to my followers to read up on products that may not have worked for me as well as ones I loved. 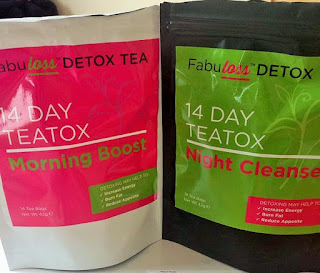 So if you follow any of my social media platforms you would have seen that I tried the Fabloss Detox Tea 14 Day TeaTox by Karora. Karora are well known for their beautiful tans and cc creams but they also have so many other products including this TeaTox. 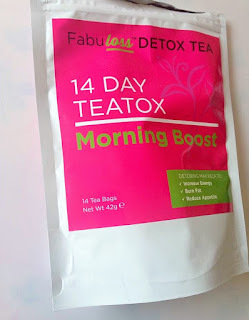 The Teatox I received was the 14 day twin pack. 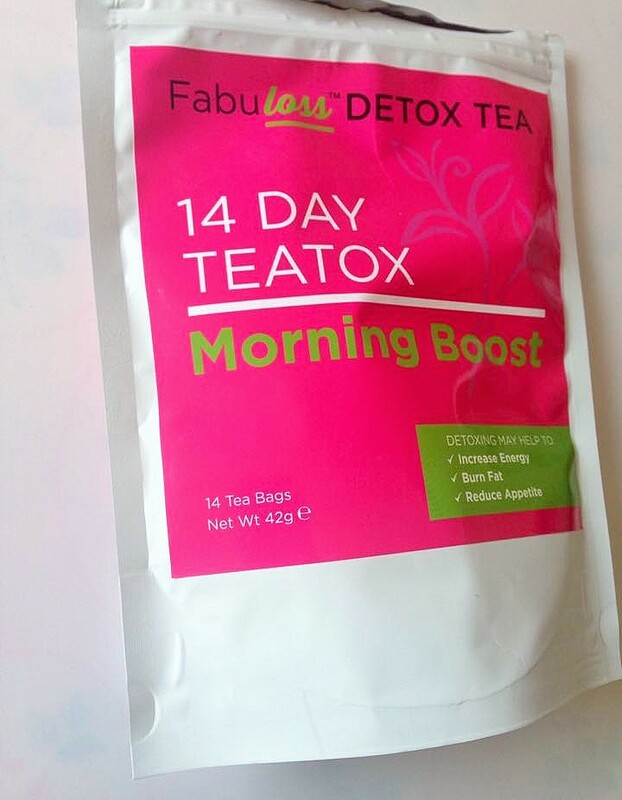 So it comes with 14 Morning boost tea bags and 14 night cleanse ones. You take the morning one every morning and the night one every other night. The tea itself tasted nice and I had no issues with taste at all, in fact I quite enjoyed it.They are designed to increase energy, burn fat and reduce appetite, unfortunately I felt none of these things. So I gave this TeaTox 2 chances. The first time I tried it I ended up with horrible pains in my stomach and spent alot of time in the bathroom ( gross I know :/ ) so I discontinued using it and said I would start again when my diet was a bit more stable . So I ate healthy for a week or 2 and tried it again but the same problems occurred. I think I only got through 7 of the tea bags altogether. 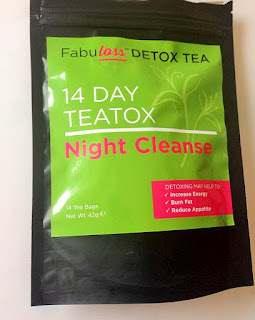 So overall I wasn't happy with this particular TeaTox but like I always say everyone is different so what doesn't work for me may work for you.